Rumors abound that tryhard central Tilted Towers will become a crater at the end of the current Fortnite season. Some players, however, didn’t want to wait until the end of April to see the comet event conclude. Instead, these fans took matters into their own hards. Fortnite allows players to build structures, yes, but also destroy them—nearly everything placed on the map can be broken down. By this logic, it should be possible to get rid of an area on the map with a pickaxe. It’s just highly unlikely to ever happen in a regular match, because Fortnite is a game about survival and most players will shoot you on sight. It’s also technically against the rules to band together in a solo game, which makes mass coordination nearly impossible. 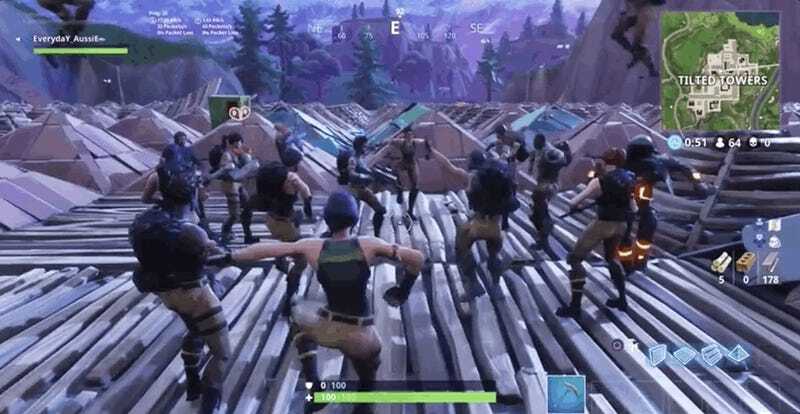 All the same, on Reddit, user xsqoof organized a Tilted Towers “wake celebration.” At a specific time, participants would log into Fortnite, jet to Tilted Towers, and destroy every single item at the locale. “Once everything is gone, we all have a massive dance party to pay respects to the city,” xsqoof wrote. 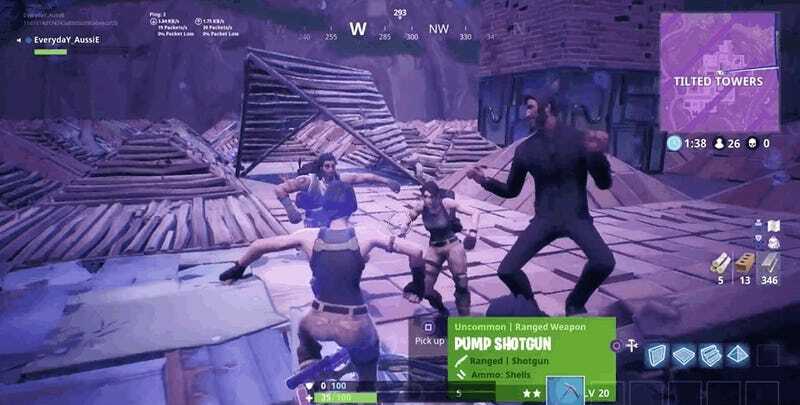 To recognize one another, players planned to all wear the default skin. Anyone else would be murdered. Surprisingly, the plan worked. 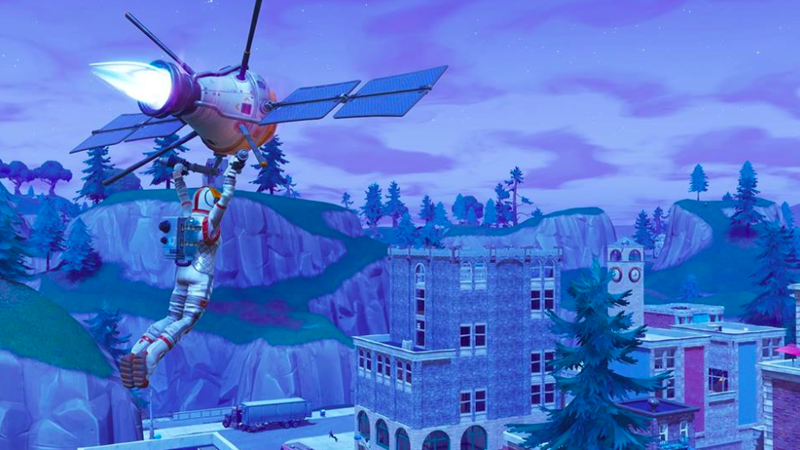 Players reportedly successfully got rid of Tilted Towers on multiple platforms, across different games. If you want a third-person look at the festivities, make sure to watch this upload by EverydaY_AussiE. Even with dozens of players going at it, leveling Tilted Towers still takes a few minutes. It wasn’t all smooth sailing, though. Some players wanted to play a normal match of Fortnite and had no idea any of this was going on. Others seem to have caught wind of the situation and actively tried to ruin it. Apparently, having this many players in one area reportedly caused the game to lag, too. “My first game, we did it until some John Wick Dickweed came and killed me and others,” wrote Funko_Mike.